Fancy-footed star Corbin Bleu will return to Broadway in 2019 as Lucentio/Bill Calhoun in Roundabout Theatre Company's hotly anticipated revival of Kiss Me, Kate. Additional casting is set for the previously announced production, scheduled to begin previews at Studio 54 on February 14 with an opening planned for March 14. Roundabout has also announced that Tony nominee Amanda Green (Hands on a Hardbody) will be contributing new material to the book to update the production for current times. 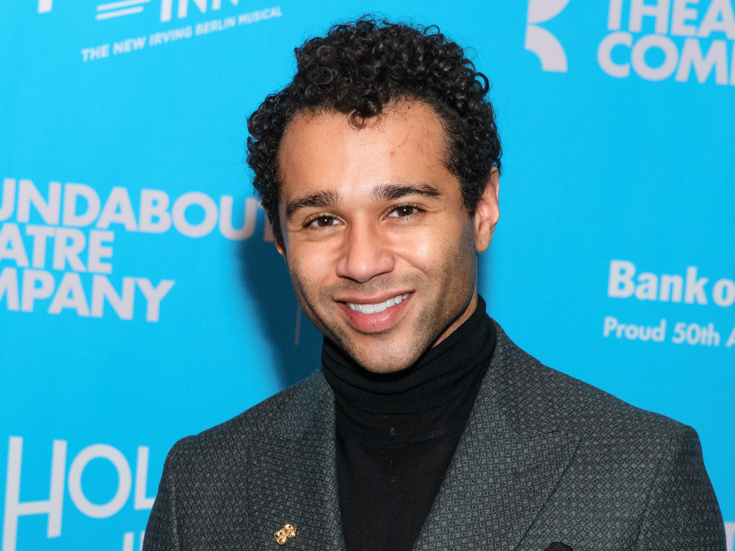 Corbin Bleu earned raves and a Chita Rivera Award for his turn in Roundabout's production of Holiday Inn. Perhaps most known for his screen performance in the High School Musical film series, Bleu was most recently seen onstage in the Muny's mounting of Singin' in the Rain. Newly announced stars joining Bleu include Stephanie Styles (Newsies) as Lois Lane/Bianca, Terence Archie (Rocky) as Harrison Howell, Mel Johnson Jr. (Jekyll & Hyde) as Harry Trevor/Baptista, Adrienne Walker (The Lion King) as Hattie, John Pankow (Mad About You) as Gangster (First Man) and Lance Coadie Williams (Sweat) as Gangster (Second Man). They join the previously announced Tony winner Kelli O'Hara as Kate/Lilli Vanessi and Tony nominee Will Chase as Fred Graham/Petruchio. The ensemble will feature Phillip Attmore, Darius Barnes, Preston Truman Boyd, Will Burton, Derrick Cobey, Jesmille Darbouze, Rick Faugno, Haley Fish, Marissa McGowan, Sarah Meahl, Christine Cornish Smith, Sherisse Springer, Sam Strasfeld and Ron Todorowski. Further casting will be announced soon. Kiss Me, Kate centers on a cast putting on a musical version of William Shakespeare's The Taming of the Shrew and the conflict on- and off-stage between Fred Graham (Chase), the show's director, producer and star, and the leading lady, his ex-wife Lilli Vanessi (O'Hara). Kiss Me, Kate features a book by Sam and Bella Spewack and music and lyrics by Cole Porter. Directed by Scott Ellis, choreographed by Warren Carlyle and music-directed Paul Gemignani, the revival's creative team will also include scenic designer David Rockwell, costume designer Jeff Mahshie, lighting designer Donald Holder and sound designer Brian Ronan. Kiss Me, Kate is scheduled to play a limited engagement through June 2, 2019.